Knitting: Boardwalk Vest is Done! 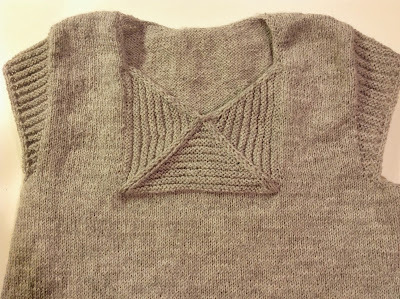 I blocked my Boardwalk vest this weekend and I can't wait to wear it! 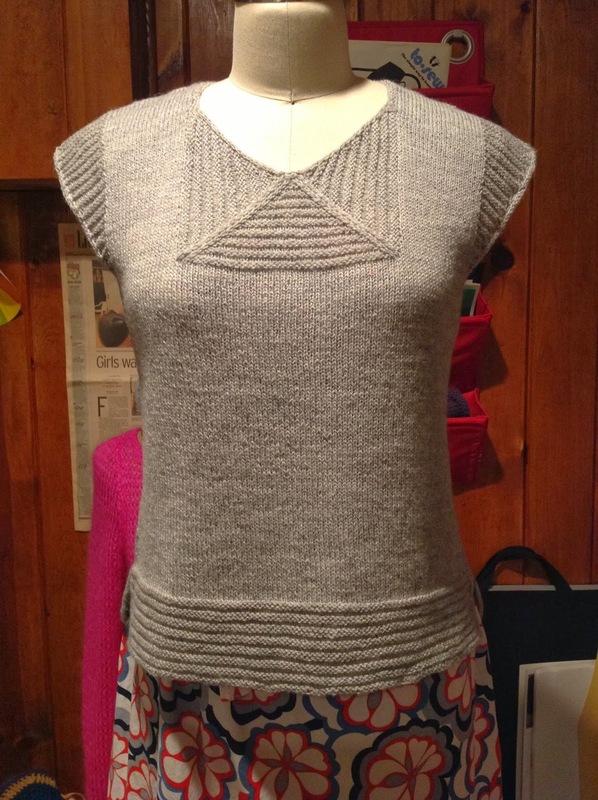 I love how the mitered neckline and cap sleeves turned out.